This is a list of my dealings with Sky over the last few weeks for the same problem. 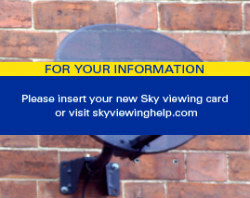 The problems I faced stemmed from the fact that my new viewing card had been sent to the wrong address and I was receiving a persistent "Please insert your new Sky viewing card" banner on screen. 9th September. I discovered we had no Sky, so my wife rang up to ask why. We had been cut off due to not paying our bill apparently. My card details had changed so the payment hadn't gone through. Fair enough, so my wife paid and whilst on the phone she mentioned to the advisor a banner that kept popping up on the screen every 30 seconds or so telling us to insert our new viewing card. The advisor informed us that Sky had sent out a new card to replace our old one, so we needed to put it in our Sky+ box. My wife informed him that no such card had been received. She was told that even though we had changed our address 6 months before hand, the new card had been sent to our old address (this was also where the letter had gone telling us we hadn't paid our bill). Never mind, she was cheerfully told, a new one shall be sent out, and will be with us by the end of next week. 23rd September. No card had arrived, so another phone call was made. The blue banner was getting even more annoying now, every 15 odd seconds! We were told that no card had been requested and that a new one would be sent today to arrive within 3 to 5 working days. They said that in the meantime they could send through a signal to the card in my machine (at which point I gave them the card number) so the banner would be gone within 24 hours. still had the annoying blue banner "Please insert your new Sky viewing card"
26th September. (BTW Sky bill was paid today - for something I cant even watch properly. Good work chaps!) Still hadn't received a new card and still had the annoying blue banner "Please insert your new Sky viewing card", obviously the signal hadn't worked. When I spoke to them on the phone they said "Oh, sorry Sir, it was sent to the NEW card number, and not the card number that was in my machine, the one that I had previously given them. The signal was sent again to the card number I gave them... or so I thought. 1st October. Still no card, but still had the annoying blue banner! Made my phone call, repeated the WHOLE thing AGAIN as it seems beyond them to actually record it in the notes they supposedly keep. I was told, yet again signal was sent to the wrong card number. But, don't worry, this time it would go the card sitting in my machine as the advisor typed it in as I read out the card number from the card itself. I was also told another card would be sent out to us at our new address as we thought maybe they had got that wrong again! 4th October. Have a guess how this phone call went....Yep, STILL no card, STILL got annoying blue banner, STILL had to repeat myself to yet ANOTHER technician! (sorry if this is boring you, I feel like I should just copy and paste previous paragraphs!) Wait another 24 hours. 7th October. No card received and still had the annoying messages. I was told yet again, they couldn't re-activate the old card, so had to sit tight and wait for the new card to arrive on the 9th. Oh, and when mentioned about compensation for not being able to watch my recorded programmes, and the start of new series, plus my kids giving me hell for missing Scooby-Doo, was told that this 'problem' had only been going on for 11 days!!! Errr.....don't think so! Stop moaning and vote with your feet!! If you "believe in better" then quit SKY and find "better"
Awful company, to work for and to subscribe to. They use a program called chordiant, and it records everything that the call centre agent does. Abu I'm not suprised he told you he didn't care, I used to work there and didn't care either, didn't get paid enough to care, and didn't get trained enough to be able to resolve peoples issues anyway. The biggest problem is the sales agents, they will tell you one thing, which isn't true, and then the customer service people (like me) got it in the neck when the customer phoned in to complain. anyways, sorry about that, went off on a bit of a tangent there. The trauma runs deep. Can't understand why anyone would pay for subscription TV, everything on there is available either on Freeview or available to download from numerous internet sites for free. Movies are released overseas often months before Sky ever show them and there are endless repeats which subscribers seem happy to pay for. If you are daft enough to pay for such appalling service don't complain about it, your money, your choice. I have had a complete nightmare with Sky after moving home. To cut a long story short they installed my TV straight away but after 3 months of constant phone calls (on my mobile!!) they continued to bill me for phone and broadband but no service was installed. One of their call centre guys actually told me he didnt care one night. If I didnt want to cut my nose off to spite my face I would have cancelled the TV package straight away. Heaven knows why anyone would want to subscribe to these dreadful TV packages, which are extortionately priced and only offer viewers garbage programmes in the main. There's nothing worth watching on TV these days and any good quality dramas or documentaries or nature series can eventually be viewed on DVDs bought from the internet fairly cheaply or watched on You Tube. I have a handsome collection of box sets already that I can rewatch as many times as I wish and eventually sell on E-bay should I ever get bored with them. My TV is mainly a mini cinematic screen these days, bar Question Time and the News. My advice? Spend your monthly subscriptions on books or something else far more worthwhile. Do yourself a favor. Stop paying for this Sky junk and do business with a competitor. Are we still believing in better? I used to work for sky - I would never buy any of there services, they systematically cripple there employees ability to help through excessive rules. Even the act of sending out a new viewing card is more difficult to process on the system than it should be. Most people in customer services are never trained how to change the address on the system ( yes it is more complicated than just writing down a new adress and deleting the old one) so your problem of missing letters is very very common. 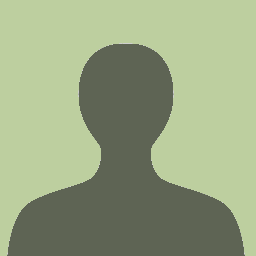 If you want my advice - when you call up tomorow because the card still hasn't arrived - ask to cancel, you'll get put through to the "turnaround/cancellation" team, who will send the card out by recorded delivery in a range of timeslots. Or better yet, you can actually cancel your account - save yourself nearly 50 quid a month, invest in a decent freeview box and do something worthwhile with the money. regarding Sky, thanks for making my mind up, we were thinking about changing to 3D viewing and have been told we need to change to Sky,I think we will wait. I hated my time with Sky. Everytime I needed to speak to them (bar one occasion) I couldn't get anyone to deal effectively with my problem, not helped by language barriers as I never seemed to get anyone from Tech who spoke English as a first language. Eventually enough was enough and I cancelled my account altogether. I'm now left with just the 5 channels, and some rubbish Freeview ones. Until such time they improve their customer service I'm not going back.